It’s getting harder and harder to attract good talent, and retaining your best performers is even more difficult. Customization is the zeitgeist: everyone wants to have their personal workflow supported. And who can blame them? If you do your best work in a particular way, and if your best work benefits your company, why shouldn’t you expect your company to support you? Polycom understands the demands of the workplace. They know that different people work in different ways, and that what works for one generation isn’t going to work for the next. 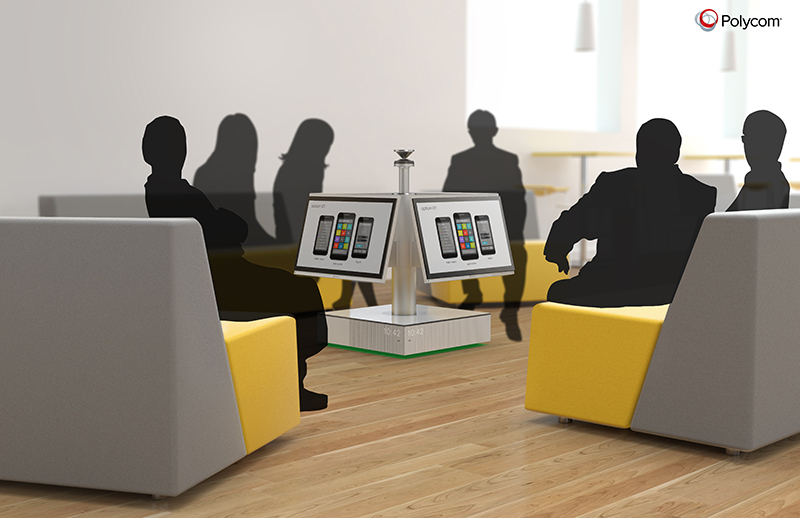 Take the Polycom RealPresence Centro, a unique video conferencing system that allows you to collaborate in the round seated on couches. Why shouldn’t work take place on couches? If it increases productivity, who cares if a person works on a couch or at a desk? The tool should fit the use-case. 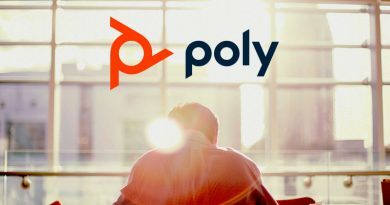 Yes, Polycom does their research, and they carefully consider not only how their products could be used, but how people want to use them. When it comes to IP phones, it’s not hard to see just how many more opportunities there are for functionality over an analog phone. Connecting the deskphone to the computer network means it’s capable of so much more. With more opportunities, however, the onus is placed on the manufacturer to understand the potential of the technology. Take the deskphone. In itself, it has certain limitations. It’s lovely to have a 7-inch color touchscreen as you do with the Polycom VVX 1500, but if you’re in a retail environment where you have to be walking around all the time, the deskphone won’t be used as much. 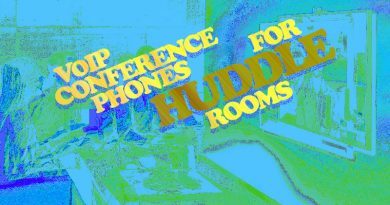 The question, then, that Polycom asked is this: How do we extend the power, quality and functionality of our industry-leading IP phones to workers who need to move about? The answer: a wireless handset. 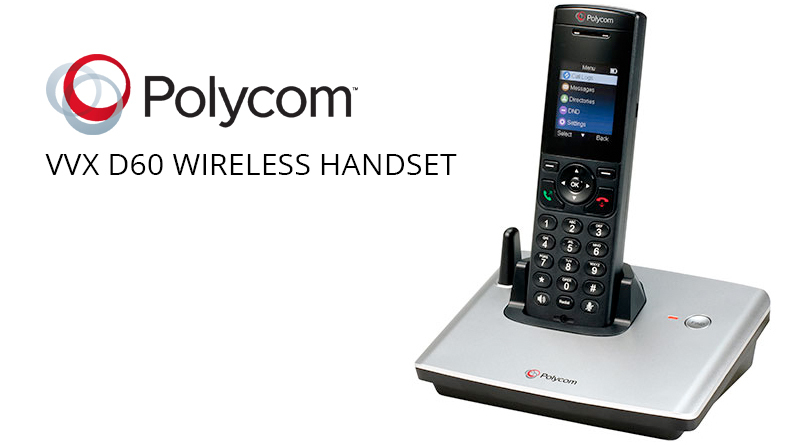 The Polycom VVX D60 Wireless Handset is a powerful addition to the Polycom VVX business media phone line. The VVX series is known for its intuitive screens, elegant design, and elite functionality. The VVX D60 carries over all the positives of the VVX series to a handset and gives you a wandering range of 165 feet indoors or 980 feet outdoors. In retail environments where you need to be up and moving about, you can’t be chained to a desk. In warehouses where you need to be monitoring stock and loading trucks, you need to be able to move. In offices where you need to be collaborating with your fellow employees—and isn’t that every office?—you need to be mixing, moving, seeing other people face to face. 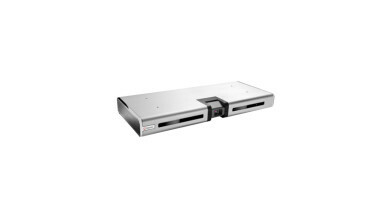 The D60 answers the question using robust, reliable technology. How does it work? There are two parts to the D60: the handset and the base station. The handset communicates with the base station using DECT (digital enhanced cordless technology), a standard that is used worldwide to enable secure, reliable wireless data transmission. In this case, DECT is more reliable than present WiFi solutions, and also gives you a broader range for less infrastructure, since you don’t need to worry about covering every corner with your WiFi network. The base station is plugged into your computer network using an Ethernet cable and communicates using SIP (session initiation protocol), the primary open standard for VoIP. It is paired with a VVX deskphone, and is provisioned and managed through that VVX deskphone. Polycom has developed an auto-provisioning system, which means you plug the D60 base station directly into your VVX phone with an Ethernet cable, and it will provision the D60 automatically. The handset only weighs 140 grams, so your arm will never get tired. Yet it has a 2” color display, which shows the same intuitive interface of the VVX series, and which allows you to access the advanced features of your deskphone. This being a Polycom product, it also has their famous HD Voice, a wideband audio enhancement that means voices will be much more lifelike than with a normal phone. 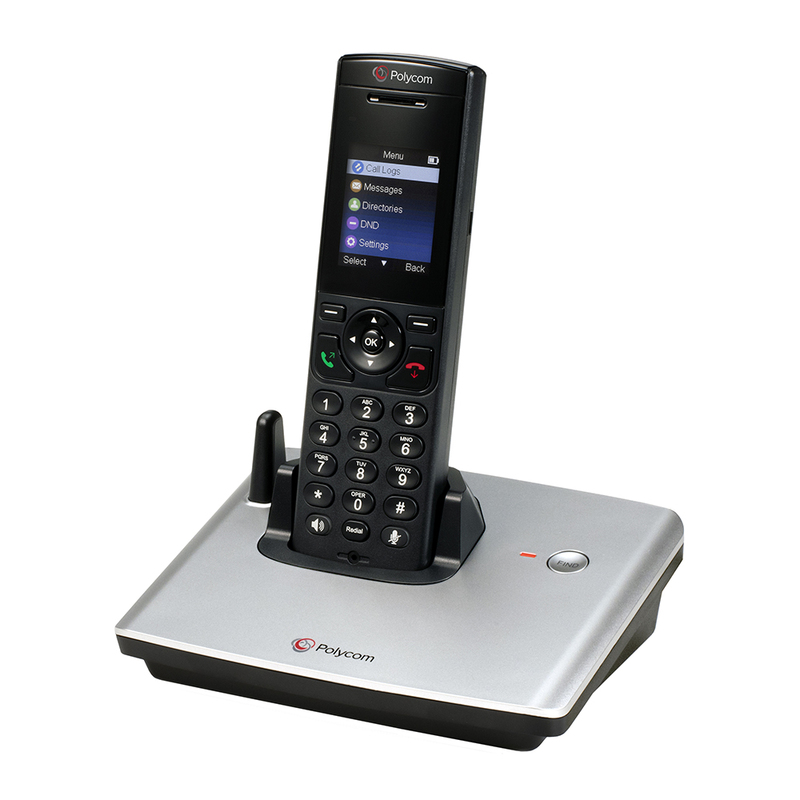 The Polycom VVX D60 Wireless Handset is a simple, powerful way to enable cordless communication without giving up the elite functionality that VoIP phones provide.